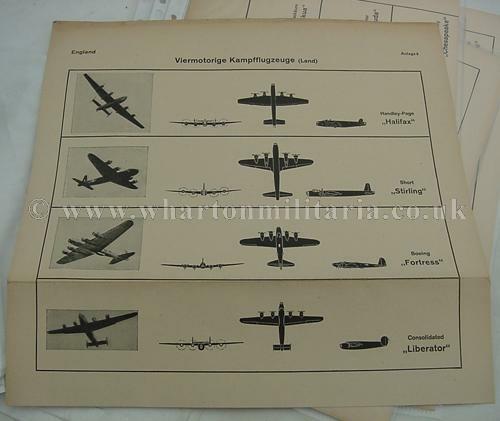 Luftwaffe recognition sheets for the wartime British 'Air Fleets', issued January 1942. 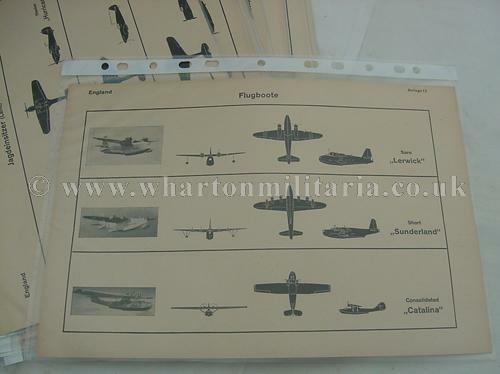 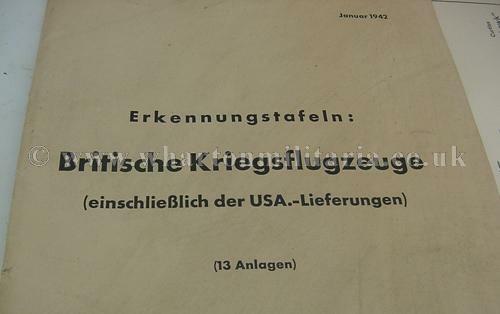 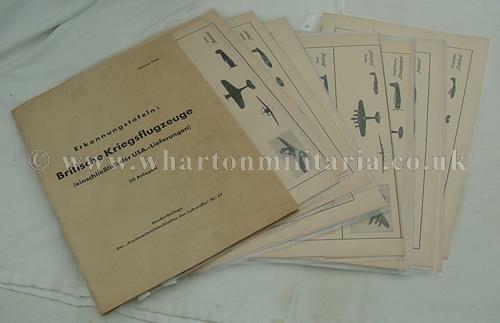 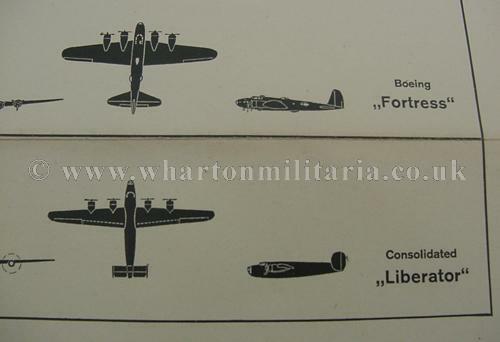 Pack contains 13 charts covering key aircraft of the RAF, including American aircraft delivered to the RAF, so that Luftwaffe pilots and aircrew could recognise the aircraft that they may come across. 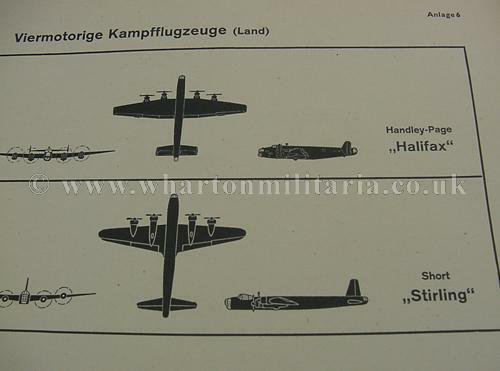 Excellent aircraft detail. 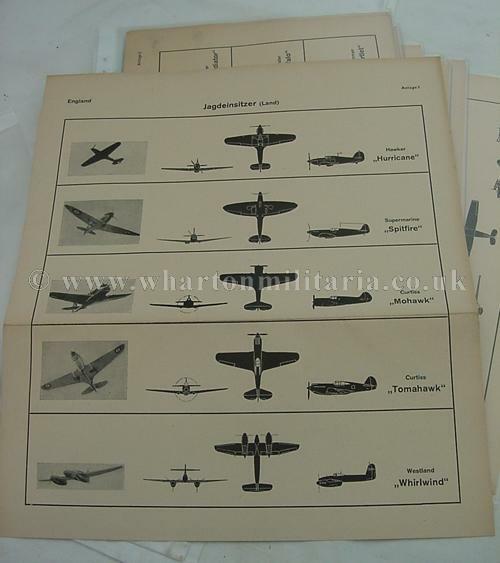 The whole pack is in excellent condition throughout. 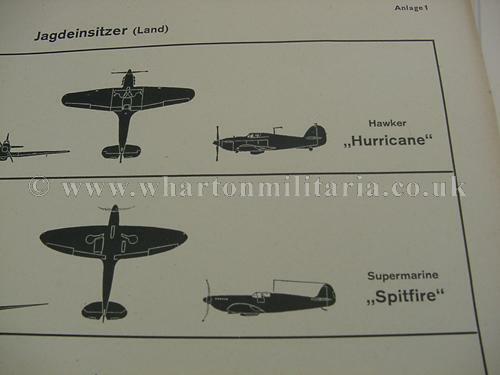 Something for both the Luftwaffe and RAF collectors.